Hockey Card Day is a program bringing together youth in the community for fun and friendship. 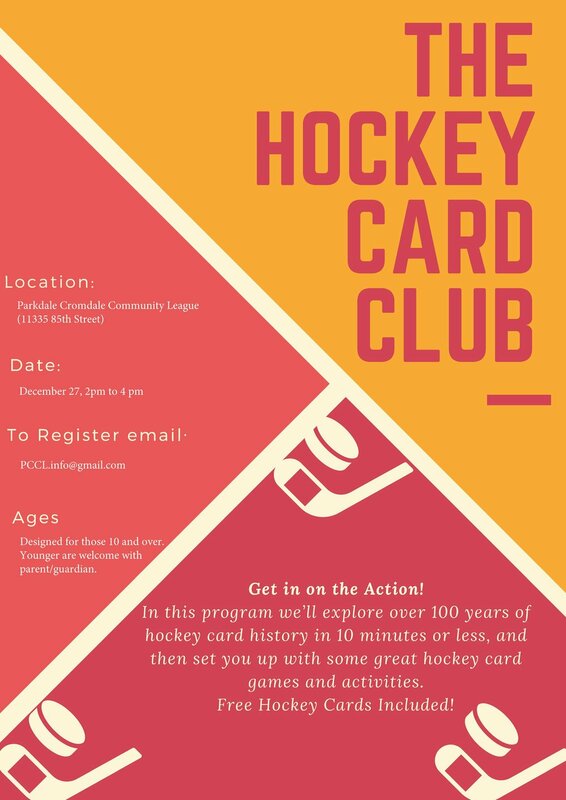 On Dec 27 (2pm to 4) the program will explore over 100 years of hockey card history in 10 minutes or less, and set you up with some great hockey card games and activities. FREE hockey cards included! You’ll be amazed at what you can do with your hockey cards beyond just sticking them in an old shoe box!